Data collected as part of the Healthy Steps program will be kept confidential to the extent required by law and Stanford's privacy policies. The names and Hospital ID numbers of Healthy Steps participants will be shared with Hospital HR, but no health information will be shared. Data collected during the course of the program will be subjected to aggregate data analysis and reporting and may be used for research and publication purposes. Such information will also be used for the creation and evaluation of a health promotion program for Stanford Hospital & Clinics. Oops! Having trouble logging in? Let us help you troubleshoot! 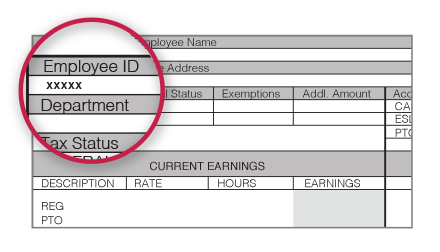 Reference the "Employee ID" field on your paystub. Please enter your employee ID to see your personal benefits. Please enter your administrator password to access admin view. The intellectual dimension of wellness involves recognizing, accepting and taking responsibility for your feelings. The intellectual dimension of wellness encourages creative, stimulating mental activities. An intellectually well person uses the resources available to expand one’s knowledge in improved skills along with expanding potential for sharing with others. An intellectually well person uses the intellectual and cultural activities in the classroom and beyond the classroom combined with the human resources and learning resources available within the university community and the larger community. Intellectual Wellness is having a curiosity and strong desire to learn. It is valuing many experiences, staying stimulated with new ideas, and sharing. It is responding to challenges and opportunities to grow, making plans, developing strategies, and solving problems. It is the ability to engage in clear thinking and recall, and to think independently, creatively, and critically. Learn (or perfect) a foreign language. Find how you score on the different dimensions of your well-being. Select a dimension to begin assessment. 1. I am interested in learning new things. 2. I try to keep abreast of current affairs – locally, nationally, and internationally. 3. I enjoy attending lectures, plays, musical performances, museums, galleries, and/or libraries. 4. I carefully select movies and television programs. 5. I enjoy creative and stimulating mental activities/games. 6. I am happy with the amount and variety that I read. 7. I make an effort to improve my verbal and written skills. 8. A continuing education program is/will be important to me in my career. 9. I am able to analyze, synthesize, and see more than one side of an issue. 10. I enjoy engaging in intellectual discussions. Used with permission from definitionofwellness.com.